Nick Aubrey is back on the show today to discuss quaddie betting. Nick is an expert at using mathematics to discover where the best opportunities are in punting. 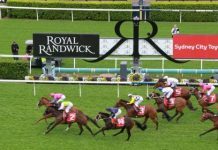 On this episode, Nick shares his best suggestions on how to actually win as a quaddie punter since most people aren’t able to do that. 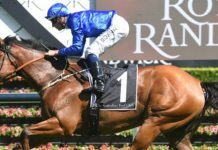 You’ll hear why he believes quaddies can be a profitable bet type and what the major advantages are of this style of punting. The inherent advantages in quaddies. Why a quaddie has the opportunity to consistently be a winning bet if you play it right. Nick’s rule of thumb as far as the Big 6 goes. Using mathematics to discover where the best opportunities are in quaddies (and save yourself from big losses). The sweet spot as far as coverage in each race. David: Hi this is David Duffield, and welcome to another episode of the Betting 360 podcast. Today I’ve got Nick Aubrey back on the show, Anomaly Nick, and I want to talk to him about quaddie betting. It’s an area that’s really popular, but possibly or probably, not particularly successful for most punters. They chase a big pay day, and often get three legs home, or otherwise when you do win a quaddie it pays under what you expected. So we’ll have a chat with Nick, and see where the opportunities are with quaddie betting, and yeah just where people might be able to take a smarter approach. David: Thanks for coming back on the show Nick. Nick: Pleasure, pleasure to be here. David: Good to have you again. And I wanted to talk to you today mainly about quaddies. 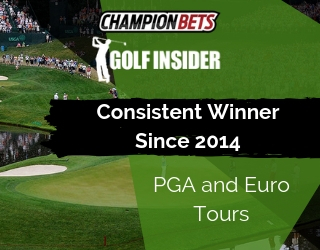 Punters love them, even a quick look at the pools will tell you that, but I don’t speak to many guys who could honestly say that they’re fairly successful long term betting on them. Why do you think that is? Nick: Well I’m not quite sure why people shouldn’t be successful, maybe they’re not successful in all aspects of their punting, I’m not sure. 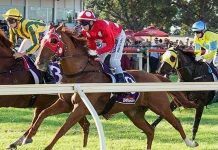 But quaddies do represent a very good way to bet, especially if you’ve got some runners, horses that you’ve got, that you want to back in several races, and you want to know what’s a good way of combining your bets. And quaddies do represent a very good way of doing that. David: And can you just explain to, I know you have a maths related background, and you are Anomaly Nick by name. But can you just explain the inherent advantages of quaddie betting versus all up? Nick: Yes. Yeah I’d love to. Maybe the best way to explain it is to give a very simple example, hopefully it’s simple. But please pull me up if it gets a bit mathematical. But let’s just consider a five horse race, right, where the runners, if the runners dividends are 2,4,6,8,10, surprisingly the sum of those odds adds up to about what the TAB takes out on the win pool. Right, so if there’s a quaddie where all the runners, in all the legs, there’s just five runners, and their dividends are 2,4,6,8,10, then the sum of those odds adds up to 114%, right, for the win. However, with a quaddie, what happens is that the TAB doesn’t take out a margin on each leg, it takes it out on the entire four legs, the quaddie. And if you do the maths you’ll find that, rather than taking out about 14% on each of the legs, because they only take out 20% on the total pool. Then what that means is that for instance the $2 dollar shot that the TAB’s betting for the win, now that’s after their deduction, the, what they call, you can calculate what you call a normalised win dividend, and that $2 dollars is actually $2.28. Now 28 cents doesn’t sound much, but when you have an all up, or sorry, when you have a quaddie, where you multiply $2.28 four times, verse $2 dollars four times, you’ll find that even after taking out the 20% on the quaddie pool, your inherent advantage is an extra 36%. So for instance, four $2 dollar shots, an all up dividend is obviously 2x2x2x2, that’s $16 dollars. But the equivalent quaddie dividend you can calculate, and you’ll find when you do the maths, you’ll find it’s $21 dollars and 75 cents. So that’s an extra 36%, and that’s enormous. I mean it is about the odds, and to actually get an extra 36% on your money by doing it in this fashion, is why the quaddies are such a good bet. David: So basically to summarise what you just mentioned there, so if you’re just looking at the favourites, if they were getting up in a quaddie, so it’s $16 dollars if you’re just going all up race to race, versus almost $22 dollars if that was the quaddie leg? Nick: Exactly, exactly. Yeah so it might sound a bit confusing, but if you settle down to do the maths, it’s amazing how much a difference it makes. And even worse would be of course a big six, where again well the big six take out is 25% rather than 20%. But nevertheless, yeah I’m a big six fan, and that’s why you’re, if you ever calculate what the big six pays versus an equivalent all up dividend, you’ll initially scratch your head and say, oh gee how come the big six has paid so much. But when you sit down to do the maths you’ll then realise why. David: And many punters include favourites in their selections, but they also want a big pay day. So I know you’ve crunched the numbers, have you found that when the favourites get up that the quaddie pays unders or overs, and the same if there’s a few outsiders that get up, what’s the rule of thumb as far as the quaddie dividend goes? Nick: Yeah. Very good question David, very good question. Well there’s two scenarios that you’ve got to look at when you’re betting in the, especially the quaddies, and probably even more importantly the big six. 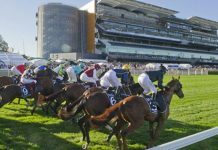 And that is quite often on a Saturday, and in fact for every Saturday in the month of November, TABCORP offered quite a huge jackpot component going into these quaddies, and big sixes. Of the extent of a guaranteed two million dollar pool, but let’s first of all talk about the scenario when there’s no jackpots. 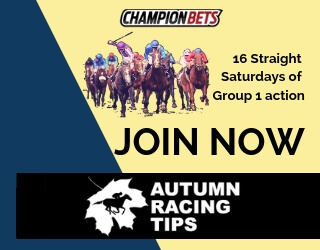 What happens is that you have a lot of the, of the you know the regular Saturday punters, the smaller punters, going into the TAB and taking the quaddie. And what they tend to do is to think, well gee I really want to get the quaddie, I don’t want to be knocked out after the first leg, you know, it’s a four leg race it goes for most of the afternoon. So yeah you want to be live, and so what they do is they say, oh I’ve got a throw in the favourite here and a favourite there, even though I don’t particularly like the favourite, but I want to be live going into the last leg if possible. And what happens because of that, because of the rank and file punters, wanting to be sure that they’re alive at least till the second or third leg, they tend to put in the favourites. And as a result they tend to get over bet, on the likes of the quaddie, and the big six. However, scenario number two when the, when there are jackpot amounts provided by the TAB, then the larger punters, the pros, the semi pros, see that there is good value to be had. And so what they do is they probably correct a lot of the over betting by the smaller punters. And as a result even in that scenario taking the favourites can offer excellent value, combined, compared to what you would normally get in the quaddie, and compared to what you would normally get say at betting an all up. So, but the basic philosophy is that, yeah if there isn’t any jackpot going into it, then you probably try not to include the favourites unless you really like them. Because by and large the favourite combinations are going to be over bet. In fact the best probably, the best result you can get in a quaddie, is to have a favourite with a rank outsider, favourite rank outsider. You will find that that will pay incredibly well. Because the other reason is that often yeah because of that, punters say well, I sort of like this horse but gee it’s 50 to 1, you know what chance has it got of winning. So I might have it just to straight win bet on it, and leave it out of my quaddies. And as a result the outsider combinations are often under bet, and so obviously the final dividend does a lot depend upon the mixture. Like so if you have four first favourites, probably it will pay unders, but if you have a favourite outsider favourite outsider, it will generally pay much better than you would probably expect. So it is a bit of a mind field, but if you know about the punting style of the rank and file, then you probably can use that to your advantage. David: And you mentioned you know throwing in outsiders. Do you want to just explain why boxing them and just throwing in five or six selections in one leg is, well fundamentally unsound? Nick: Yes, well all depends how you’re betting. Now if you say, okay I’ve got $100 dollars to outlay, right, I’ve got let’s say if I have four selections in each race, so 4x4x4x4 that’s 256 combinations. I’ve got $100 dollars to invest, so I could take just a flexi quaddie where for the $100 dollars divided into 256 combinations, what’s that, that’s a dividend what of about 39 cents or 40 cents isn’t it. So you can have a 40 cents sort of flexi bet in that circumstance. However, the trouble is if all the favourites win, which quite often could be the possibility, you’re not going to even get your money back. Right, because yeah let’s say that the four favourites were $2, $2, $2, $2, the all up dividend is going to pay say $16 dollars, you’ve got four, you know 4%, oh sorry 40% of it, right. So what’s that, $6.40, you get back for your $100 dollars. However if say your 10 to 1 shots get up in each of the four legs, nice result, but highly unlikely. Then the all up dividend, well the quaddie dividend for that win dividend is actually $14,000. Okay, so there you’re going to win, you know you’re going to win a monster, but how likely is that to occur. Now, and so that would return you about 5 grand or a bit more. So a better strategy is to say, okay what about if I take each combination in proportion to its likely dividend, right. And that’s where TAB Probet premium, or TAB Probet comes to the fore. Because we have a very smart method of betting called, and it’s based on my algorithm called ‘probability slicing’. And what it does is it basically combines runners whose win odds are very close together. Right, so probably to explain it let’s go back to our 2,4,6,8,10 situation, where we know that if there’s only five runners in the race, and we’ve got let’s say $100 dollars to invest. By combining every, or let’s say if we combine the first, well let’s say we did take every runner in the, in every leg. So there’s 5x5x5x5, right, so that’s actually five to the, so that’s what 625 from memory, yeah 625 combinations. And let’s say to make the maths easy we outlay $625 dollars. That means that there’s a dollar on every combination. But what happens then is that no matter which combination wins, you’ll get back the same amount. Right, so if the four favourites win, you get back the same amount as if the four outsiders win. So obviously you don’t want to take you know every combination every race, but what probability slicing says is that let’s combine runners whose win odds are close together. So instead of considering a five horse field, let’s consider a twelve horse field. And instead of one runner at 4 to 1, that’s actually equivalent to two runners at 8 to 1. And instead of one runner at 6 to 1, let’s make it two runners at 12 to 1, and similarly with the eight and the ten, and in fact one runner at 10 to 1, is equivalent to having four runners at 40 to 1. And so again if you do the maths, you’ll find that the inherent advantage of taking a quaddie is the same, and also by taking the combinations in proportions to the odds, your return is going to be pretty much the same. So what TAB Probet does is that it works out, it groups together runners whose odds are very similar, and combines them in flexi bets. Because let’s face it, if you’ve got say two selections in the first leg, both of them are 40 to 1, then you really, if you’re working out how much to have on it, you would have the same amount on both of those wouldn’t you. Because you combine with other runners and other legs, because they’re both paying the same odds that win, so therefore the size of the bet that you place on those two runners would be the same. And so that’s how TAB Probet works out how to stake appropriately, and all you need to do is to say alright this is the total amount I want to outlay, these are the selections I want to take. You might have four in one leg, you might have two in another, you might just stand out with the favourite in one of the other legs. It works out the maths, and works out exactly how much you should invest in each of the possible combinations, it combines like paying combinations, to optimise the, and uniform, what’s the word not uniform, to standardise the likely return that you’re going to get. And so all in all it’s a much more effective way to be able to bet the quaddies. David: And so we’ve mentioned Probet, and you’ve been on the podcast before. So in case people want to check it out its a authorised TAB product, and TAB Probet live is free. As far as the estimated dividends go, yeah you mentioned that there’s probability slicing, is that, does that mean that it’s wiser to bet late when the markets are more fully formed, or is there a bit more to it than just that? Nick: Yeah, that’s a very good point. Again because as everybody knows, you’re looking at the Hurdy Gurdy, I think that’s what they still used to call it, they used to call it in the old days. Looking at the tote board, or looking at the tote screen in the TAB, and you’ll see that oh look at this horse, it’s 5 to 1, they’re about to move into the barrier and all of a sudden they jump and it’s one, and it pays $3.50. Now with the advent of the internet, and so much now fixed odds betting available, and in fact TAB, the TAB do even show the fixed odds for horses in the TAB. 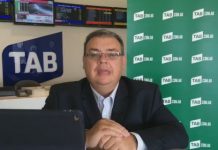 Rather than using the TAB tote dividend, if you have access to the fixed odds dividends, especially on the Saturday, like by 11 o’clock Saturday morning, virtually all the TAB’s and the bookmakers, the corporate bookmakers, have got all their fixed odds for all the races up on their websites. And so it’s just a matter of looking at that, and saying right rather than trying to approximate using the TAB win dividends, let’s use the TAB, sorry the tote win dividends, let’s use the fixed odds. Because that by and large represents a very good approximation of what they’re going to start. Now there’s always going to be a bit of, you know a few will come shorter or a few will go longer, but it’s a very good approximation, and all it is, is really to do with calculating your bet sizing. And because there is a certain amount of approximation required, especially if you’re only outlaying, well not only, but if you’re outlaying $100 dollars on a quaddie, there’s always going to be a bit of volatility in regard to your dividends. A few weeks ago for instance when I was doing a demonstration it was one of the big meetings on the Saturday, it was the one that Smoky Jack won, I think. And I think it was in the last leg, and I was looking at the approximates, and Smoky Jack was by far my best return. It was like I had the first three legs and I looked at it, and even though most of them were fairly uniform, I was going to, my profit on turnover was about 200%, with Smoky Jack it was like 400%. Because it was pretty much the rank outsider in the last. Even though based on its win odds I had, you know I was betting according to what I expected its win odds to be. Well when it saluted at 40 to 1, it was a very nice pay out, because it yeah as I said it paid, the quaddie paid probably double what I really expected it to pay. So it’s a very good way to bet, and especially if you’re taking the fixed odds early, you could often be faced with a very nice surprise at the end of the day. David: And have you done any research on whether the quaddie dividend varies amongst the TAB’s and why? Nick: Yes. It’s actually depending upon the pool size. I mean these days, or Vic TAB, it’s probably their biggest bet size on the weekends, on the Saturday. Enormous amounts of money, I mean when the TAB did offer a guaranteed 2 million dollars, or I think 4 million dollars was one of their guarantees, they knew just because it was the big carnival time, that it was going to get close to that anyway. I mean the average is around, I might be wrong, but it’s probably around 1.5 to 2 million dollars every Saturday. So, and if both TAB’s have got that same sort of pool than the dividends are going to be very close together. It’s when you’re betting perhaps mid-week, on provincial races that there’s a lot more volatility, because the pool is so much smaller. And especially if there’s a few outsiders, one TAB might pay double, or triple what the other TAB pays. But for weekend punters, or metropolitan races, they’re surprisingly close together. 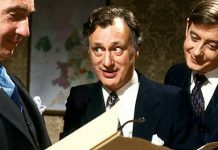 David: Alright and just to finish up then, the question about market percentages, well I suppose coverage you might say. Have you found a sweet spot at all, as far as coverage in each race? So what I mean by that is, if you’re talking about a 100% market, are you better off having 30, 40, 50, 60% of that covered, by you know whether that’s one horse or a number of horses. Have you assessed the most profitable strategy there, or is it really just come down to the selections that you’re using? Nick: Yes and no. That’s another good question, gee you’re asking good questions this morning David. It very much depends upon your selections. So if you put in something that in the fourth leg that you think, oh that’s a bit of a Smoky, I don’t think punters are really onto it as yet. It’s at the market at the start of the first leg, given it might be you know an hour and a half before the running of the fourth leg, and it’s in the fourth leg. But before the quaddie bets closes it’s like, maybe it’s 40 to 1, so you put it in as a 40 to 1 shot, but then it’s backed in to 20 to 1 at the death right. Well your quaddie dividend isn’t affected, because all bets go on before the running of the first leg. And so in that case you can pick up some excellent value, it’s as if you’ve locked in the sixth odds at the time of the start of the first leg. Now obviously that can backfire if you’re wrong, and the runner blows out, but the other interesting thing is in general, especially if you’ve got a limited amount of money, the sweet spot as you referred to it, is probably in the mid-range. And what I refer to this is topping and tailing your selections. The topping is, if you want to get best value money then really you’ll want to leave out the combinations, that are going to pay like the 2x2x2x2 you know all up $16 dollars. That is never really going to pay you much better than it should. And often especially in the smaller pools, taking a rank outside as an each of the legs there isn’t really enough money in the pool to justify the sort of dividend that should be paid. And so by trying to attack runners around say I would say between 5’s and 15 to 1, in each of the legs, make sure that you put in those. Because that’s where the value is going to be. And there’s another aspect of TAB Probet which helps you to do this, and it’s called the mini and max dividend filter. Because you can say right I want to take the quaddie, but I want to only put in the combinations that are going to pay say more than $800 dollars, and less than say $10,000 dollars. And what that does is it will sort of filter out the combinations that probably pay bad value. Right, and so what will happen is that you won’t have all combinations taken, so if the favourites win all four legs, you’re not going to get the quaddie, but if the favourite outsider favourite outsider wins, then you’re going to get it. Whereas if the four outsiders win you’re not. So as you can see that’s the sweet spot of trying to get the odds range and the middle of the low end and the high end. Because that’s where the real value is to be found. David: Good stuff. Alright we’ll leave it there for today. Hopefully that’s given some people a bit of an insight into a popular but maybe not profitable area of betting, so really appreciate your time today Nick. Nick: Okay. One last thing, because I sort of rushed through that, what I thought I’d do is I just put the maths about the couple of examples that I just talked about up on my blog, which is anomalynick.com. Sorry for the free plug, but so people who maybe listened to this and are not quite sure exactly what the maths of it is, I’ll have that up there shortly for them to just have a bit of a look at. David: Yeah we’ll link out to that in our show notes, and also to tabprobet.com.au. Nick: That’s it, that’s great.